"I'm a PHP programmer and I want to check out this Django thing. What should I do?" I've been seeing this kind of question pop up more and more, and I have a few answers. Every developer who has come to Python and Django from some other web app technology could write a detailed memoir, in the guise of advice, on how it all went. Many have. Pat should read one or two. If using PHP, Pat is very likely using Apache. Apache has an extremely handy module called mod_rewrite that allows Pat to slice up requested URLs and feed them to scripts in just the right way. E.g. with a one-line rule Pat can tell Apache to turn a requested URL like http://example.com/people/paul/ into a call to people.php?name=paul behind the scenes. Users get clean, readable URLs, and Pat get to structure code as desired. These rules use regular expressions, but that's not the main reason I recommend mod_rewrite in this situation. I recommend it because a good set of those rules can translate remarkably cleanly into a set of URL-handling rules for a Django site, known as a URLconf. PHP is at its root a templating language. A key to happy PHP development in my experience was keeping the templating part separate from the business logic part. E.g. a main script assembles all the data that the page will need, then includes a template that takes that data and displays it. Django, like most other web frameworks, enforces this separation to great effect. Like other languages with C-like syntax, PHP doesn't care how you indent your code. However, Python (famously) does. For curly-brace programming, I like the Whitesmiths style, which happens to be nearly identical to standard Python style when you eliminate the lines containing the braces. Consistently-formatted code in any language is easier to work with than the alternative. By cleaning things up Pat can make things better for Pat right now (as well as for those who work with Pat's code), and be happy with Python tomorrow! No matter what kind of sites Pat builds, it's likely to involve making back-end administration tools. They may be used for updating text content, or adding database entries, or changing settings used across the site. Everybody gets tired of building these things over and over, and doing it really well isn't easy. My advice to Pat is, as much as possible, to standardize on a back-end tool that can be used for all projects. This may be something home-grown, or a general-purpose open source tool like PHPMyAdmin and friends, or a customizable open source application built for this use. That way Pat spends more time on interesting application code, and Pat's clients get a more consistent experience. One of Django's gems is its bundled admin application, designed to work with any Django application you create. It's pretty, capable, and highly configurable. Best of all, you never have to write or maintain it, because it's already there for you. This one may seem obvious. However, I've seen a lot of people dive into Django with no previous Python knowledge and end up wanting more. It's not impossible to learn both at the same time, but it's not necessary or even efficient. Luckily, there are a lot of books on Python out there in addition to good free resources. Python is good for more than Django, of course. It's an excellent general-purpose programming language that Pat will be happy to use for all sorts of things. Writing utility scripts and other little things in Python is a great way to get comfortable before building that killer social networking app you've been dreaming of. Great post, this is exactly what I was looking for! I've been digging away at Python/Django for a bit now but can't seem to find many resources that detail building sample applications. If you know of any sites that do this, let me know. Also, if any sites that detail a programmers induction to Python/Django, let me know as well. I think the biggest hurdle for the average php freelance dev moving to django is deployment. With PHP you're usually working off the customers crappy PHP4 shared-hosting account - but PHP is preconfigured for you and just works. I think one of the first pieces of advice for PHP devs moving in a Python/Django direction is to upgrade your minimum hosting requirements. No more $4 hosting plans. Explain to the customer that it's cost effective! True you pay (say) $120 more per year for the hosting. But will cheap hosting (you know - no SSH, mod_rewrite not included, open a trouble ticket to change perms on a file or get a config directive added) cost the developer two hours in a year? Mos def - and there's the $100. Pick a host and buy new accounts for each customer or buy yourself a VPS, roll the price of hosting into your contracts and offer free hosting to your customers! Once you've got decent hosting start with the next-to-last piece of advice. Build your PHP sites, but use Django as the admin backend. Deployment is less worrying (for a single user admin site you can use CGI to deploy Django - it's slow but it works). 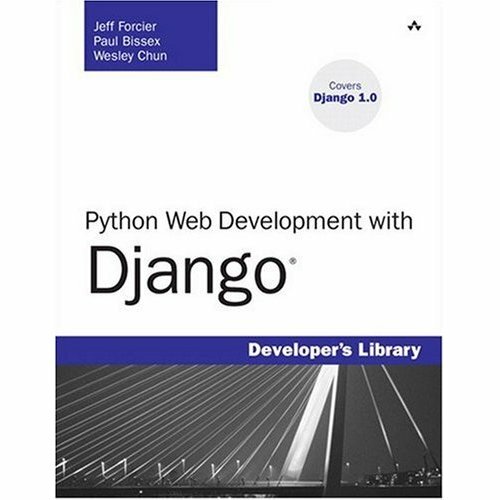 All you have to learn is two pieces of Django - models and admins - and both can start out strictly declarative (you don't even really need to know Python). The best advice I can think of (other than spending some time learning Python at the interpreter) is to encourage the PHP programmer, now budding Pythonista, is to develop some CGI scripts in Python. Forcing them to think about how bits of code emitting text actually make it from code through web server to the browser will be frustrating for a few that have never had to think about such things, but the knowledge they'll pick up from this simple exercise will be invaluable as they deal with why, sometimes, "things just don't work" (as another poster commented on earlier). Hey, a very good post. But there are less django hoster around. Especially in germany. It will take some time, till django can be used from everyone. Armin - Sorry! My preference for Whitesmiths may betray my longtime aversion to curly-brace programming. Bryan - there are lots of examples out there, including this set of links. For multiple detailed examples that include explanation as well as code, allow me to recommend our book. metapundit - Look, I just pimped my book! Thanks for the kind words. Also, you're of course correct that deployment is a big issue. This came up the last time I wrote on this as well. I urge most newcomers to worry about deployment last, so as not to distract from the core Python and Django learning. The built-in development server is a great tool. Michael - Interesting idea. Raw CGI programming will definitely increase appreciation of the value of the framework! Yuppie - Yes, commercial support is still growing. Because of that as well as the reasons I gave above, this is something I urge Pat not to worry about at first. The situation may be quite different once launch-time approaches.